At 40 you don’t need to worry about your looks anymore! Here are some of the best makeup trends exclusively for you! The wonders that makeup can do cannot be undermined. We see that on a daily basis, where ladies of all age groups do miraculous transformations for themselves. With that being said, one should also remember, there is a difference with makeup application from that of teens makeup to young adults makeup to mature skin makeup. We cannot turn back time or stop the aging clock from taking its course. But with makeup, we can bring back the youthful touch and glow. So let’s take a look at three winter makeup trends for women over the age of forty to try and emulate. When choosing foundation for your skin tone, always look for one that is closest to the undertone of the skin. To check for the undertone, look at your veins on the wrist. If they are green, it means you have a warm undertone and if they are blue, it means you have a cool undertone. When applying foundation, we would advise not using too much of it. This is because, heavy foundation settles in the crease lines and looks patchy, which creates an eye sore and brings more attention to the aging effects on the skin. It would be best to use more of liquid foundations that powder ones, since powder sets in loose and can fall off faster than the liquid base. Always use face primer before applying foundation. As we age, our skin tends to get drier and saggier. The same would be with our lip skin too, which is why keeping the lips moisturized at all times would be necessary. Exfoliate your lips at home with a sugar scrub or with a piece of strawberry so that the dead skin cells are done away with and your lips are kept moisturized. Do not use too much of lipstick, since lipstick can make the lips dry out soon. What you should use instead would be tinted lip balms. They come in a range of pretty colors, which can be worn as per your choice. In addition to that, lip balms have moisturizing capabilities that wont let your lips dry away anytime soon. This ensures that the lips stay supple, smooth and soft all the way. For thin lips, use a glossy touch, and for thick lips use a matte touch! Make a switch from using powder blushes to cream blushes. Once again, powder blushes can sit in the crevices of the skin and garner more attention unwanted at those places, but cream blushes would smoothen the apples of the cheeks and bring around a healthy glow much needed. Use a cosmetic sponge to dab the cream blush onto the cheeks and blend it upwards into the temples of the face or the zygomatic bone. When thinking of choosing shades, we would ask you to be as natural as possible. 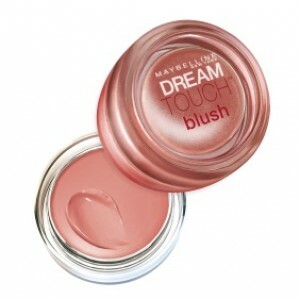 Loud cream blushes aren’t for the mature skin to wear, and they make the face look very artificial too. There’s no age to stop at when decking up with makeup, and that is why, you too shouldn’t stop being the fashionista you are, even at 40!